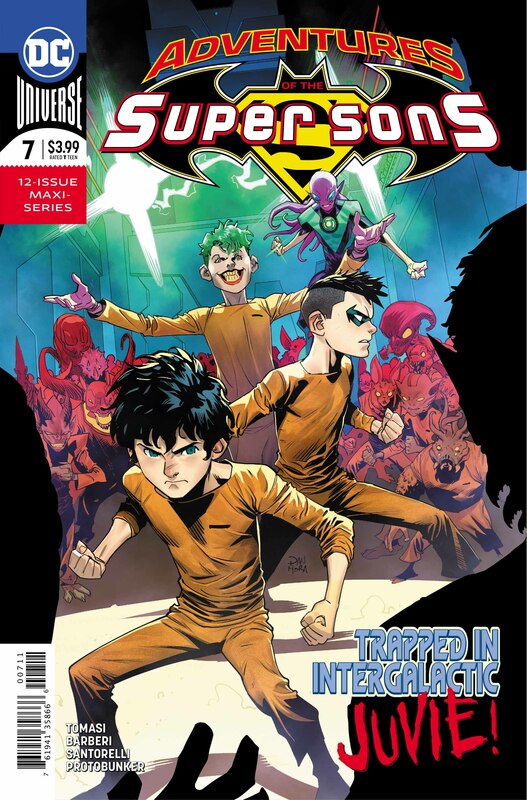 The Super Sons’ jaunt into space continues in the latest issue of this wildly entertaining series, with writer Peter J. Tomasi shifting gears a little as our diminutive heroes find themselves separated and imprisoned on Takron-Galtos, a planet dedicated to incarcerating dangerous delinquents. 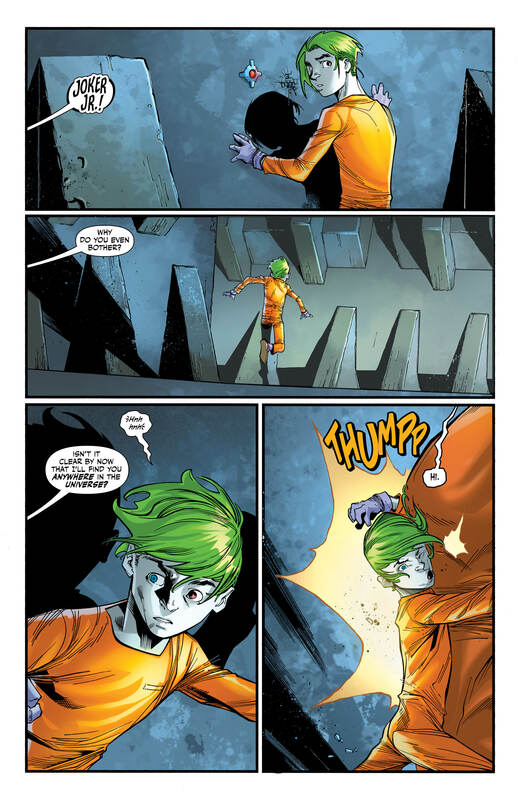 We’ve seen him do it before sporadically, but Damian actually manages to maintain his gritty, noir-tinged internal monologue for the entirety of this issue as he pounds the streets of the prison planet, shaking down fellow inmates to try and discover where Jon is being kept. It’s intentionally tongue-in-cheek at times, and Tomari’s writing pokes some good-natured fun at the youngest Wayne trying to be like his ‘World’s Greatest Detective’ father. Barberi’s artwork fits the story perfectly, shifting between shadow-drenched rooftop monologues and brightly coloured supervillain copycats. 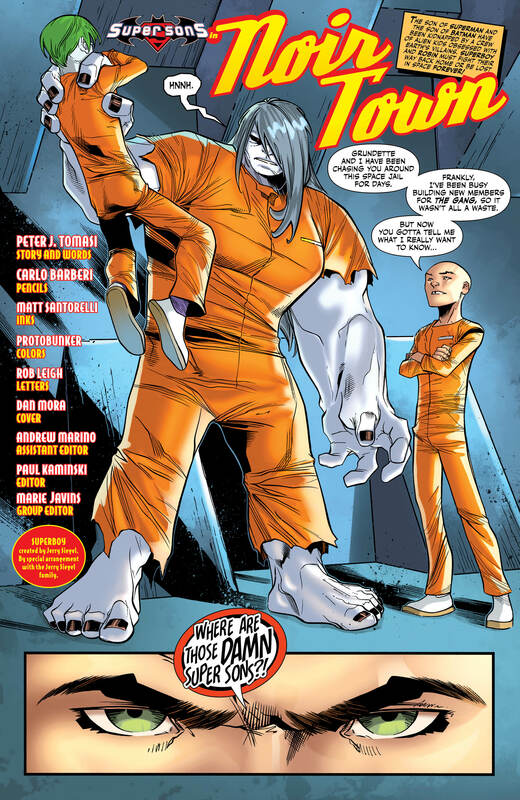 In that respect, Rex Luthor’s impact on the inmate population is fantastic, decking them out in the guises of familiar Earth-based villains, and there’s a lot of humour to be had in these slightly bewildered Alien kids being forced to dress up as characters like Gizmo or The Riddler. 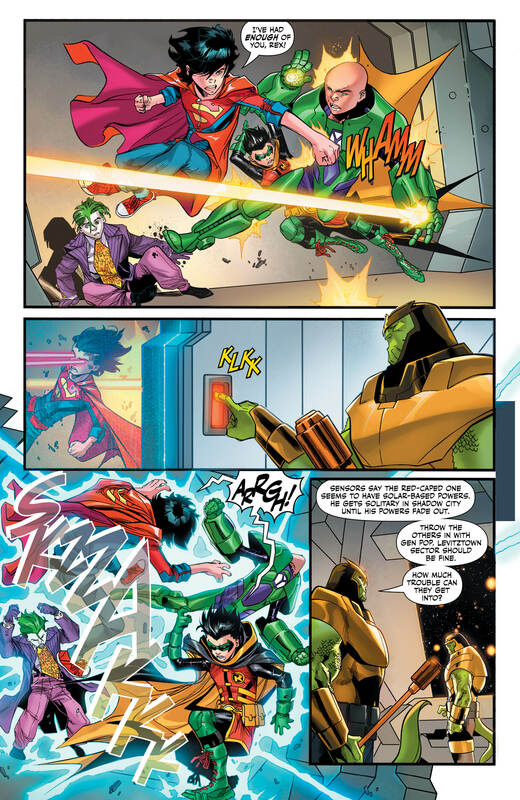 At the end of the day, any Super Sons story is only as strong as the bond between Damian and Jon, and while the pair are kept separate for the majority of this issue, the determination Damian shows in trying to rescue his buddy helps to underscore the strength of their friendship. 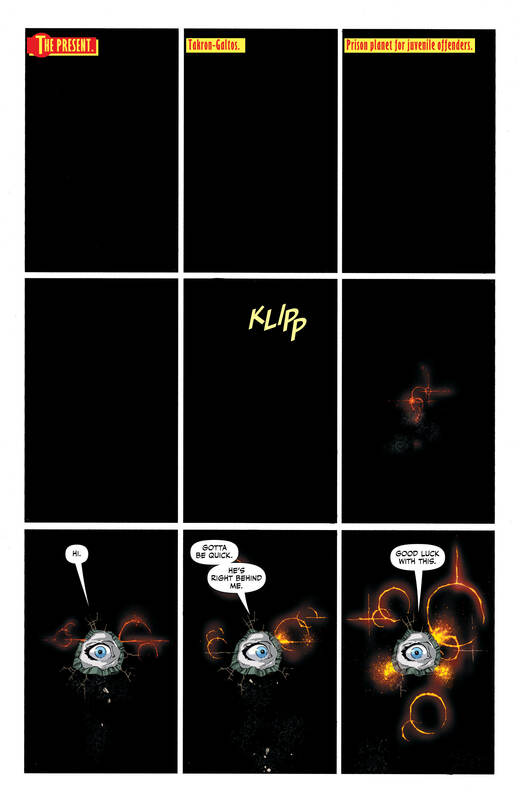 And, in case there was ever any doubt, the final pages underscore the bond that has rapidly become one of the best things to come out of DC in recent years in goosebump-raising fashion. 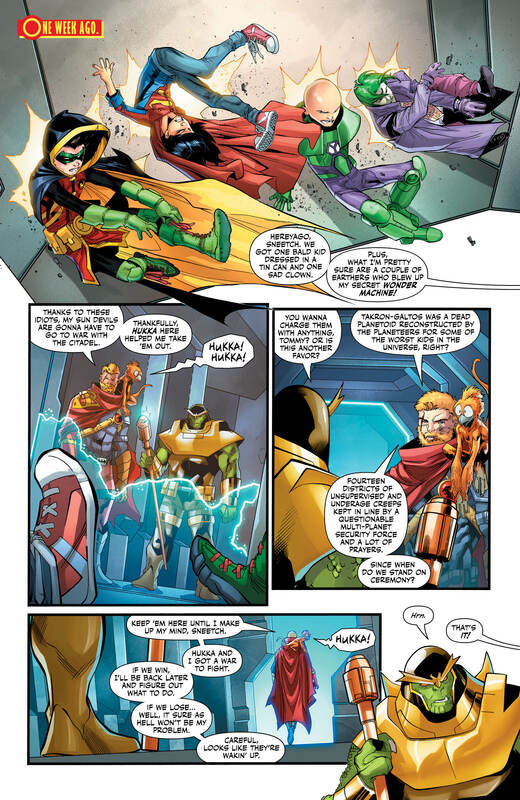 Admittedly some of the previous issues have perhaps been a little too ‘out there’ with the wild concepts and crazy ideas, but this latest chapter takes us back to the beating heart of the series by focusing on the relationship between Damian and Jon, and is all the better for it. While it doesn’t necessarily advance the overall storyline in any significant way, this for me is easily the best issue of the series so far. It’s beautifully laid out, strikingly illustrated, and blends humour and drama into what is an utterly enjoyable read.